We are seeking an energetic and detail oriented employee for our new clinic in Eden Prairie. The ideal candidate is honest, hardworking, and can deliver personal service that exceeds our customer expectations. The position has an attractive part time week day schedule. There will be opportunity for growth as our company grows. In this role the optical manager will be responsible for managing dispensing experience, patient scheduling, insurance submission, day to day office work and opening and closing the clinic. Jamison Optical opened last September in Eden Prairie MN. Dr. Jamison has been in eye care for 10 years. Our mission is to help people See Look and Feel Great. See Better – We will listen to our patients to understand their lifestyle and use state of the art technology and lenses to create a vision experience they can enjoy in everyday life. Look Great – We believe eyewear is a fashion statement about who you are and we will help our patients find eyewear that tells their story. Personal Touch – We are about giving personal one on one service and building lifelong relationships with our patients. Create an inviting and welcoming environment for our customers. Greet customers promptly and sincerely when they come into the clinic. Build strong lifelong relationships with clients. Maintain an organized front desk and showroom for our patients. Scheduling and following up on patient appointments: online, over the phone, in store, and by mail. Work with the doctor and customer to find the perfect frames and lens options. Coordinate frames selection with optical measurements and prescriptions. Conduct accurate measurements and fulfill prescription with the optical lab. Ensures timely service to the customer through accuracy and follow up. Fit and adapt lenses and frames to fit the customer’s needs. Accurately process transactions and update patient billing. Assist Dr. Jamison with billing and insurance follow up. Help with marketing including updating online accounts, printing, and mailing of marketing materials. 20-25 Hours per week. Working M, T, T, and F for 5-6 hour shifts. Closing the clinic on Tuesdays and Thursday. Hours may vary depending on eye exam schedules. 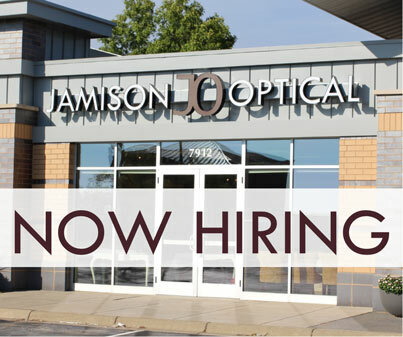 Please send your resume DrJamison@JamisonOptical.com to apply.